Melgaço, in the high Miño, has concluded all the works that it presented to the project Raia Termal - that involves six Portuguese and Galician municipalities located in the basins of the rivers Miño and Lima - and prepares to begin to promote the thermal destination. 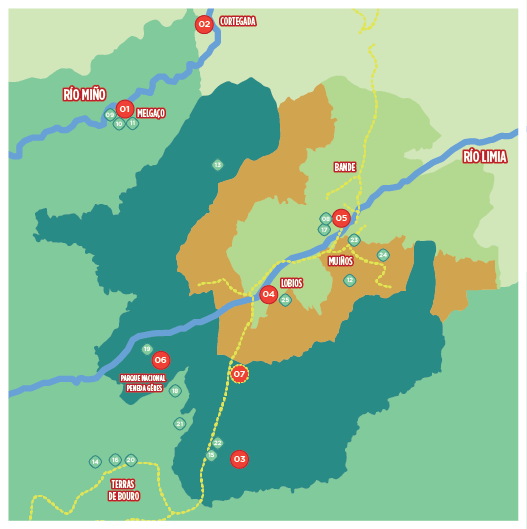 The aim of the project is to valorise the natural spaces and promote national and international quality thermal tourism in the fields related to leisure, health and heritage, thus promoting economic activity in the bordering populations of Ourense and the north of Portugal. Different actions aimed at the protection and conservation of the natural areas of the Miño and Limia in the border will be developed, as well as the improvement of the environmental quality of water in transboundary stretches of the Miño and Limia basins, through the use of innovative technologies. Promote the coordinated management of thermal tourism resources, services and itineraries as well as the joint commercialization and promotion of the cross-border thermal destination.